Larger doses of the diabetes drug metformin were associated with a small increase in height in children and adolescents, according to a review of randomized clinical trials published in JAMA Pediatrics. “There has been increasing off-label use of metformin in children and adolescents, often as part of the management of polycystic ovary syndrome, but also for impaired glucose tolerance, nonalcoholic fatty liver disease, and obesity,” the researchers wrote in the study. To learn more, Normand G. Boulé, PhD, of the University of Alberta in Canada, and colleagues evaluated 10 studies involving 562 participants aged younger than 19 years (58.7% girls). The mean age ranged from 7.9 to 16.1 years, with high variability in most studies. Mean BMI ranged from 18.4 to 41, and metformin use lasted from 3 to 48 months. Results revealed no significant differences between participants who took metformin and those in the control groups. Nevertheless, data from a stratified analyses according to the cumulative metformin dose, in milligrams per day times the number of days of treatment, demonstrated a greater increase in height with metformin in five studies using the largest cumulative metformin doses (weighted mean difference, 1.0; 95% CI, 0.0-2.0). Yet, in the five studies with the lowest doses, this was not the case in the metformin vs. the control groups (weighted mean difference, –1.0; 95% CI, –0.7 to 1.0). The researchers noted, however, that one of the limitations of their study included the fact that they were unable to obtain height data from many studies, even though the information had been collected for the purposes of reporting BMI. 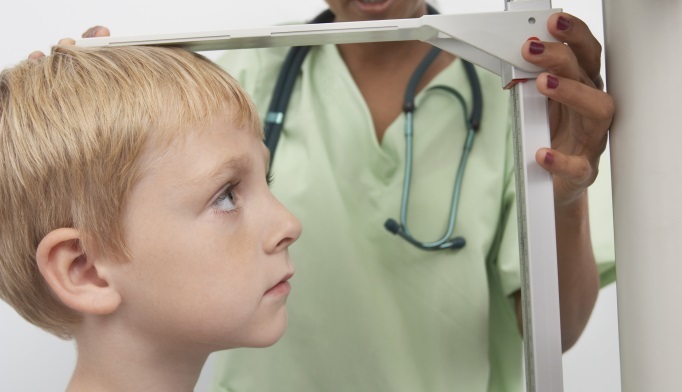 “Preliminary evidence suggests a dose-response relationship between metformin use and increases in height in children and adolescents compared with a control group. While an approximate 1-cm increase in height may appear small, it is likely underestimated given that many studies were of short duration and included older adolescents, potentially after epiphyseal growth plate closure,” the researchers concluded. They noted that longer-term studies in younger participants are necessary, as they may experience greater height increases. Kuzik N, Myette-Côté E, Carson V, Slater L, Boulé NG. Evaluating the Effects of Metformin Use on Height in Children and Adolescents: A Meta-analysis of Randomized Clinical Trials. JAMA Pediatr. 2015;doi:10.1001/jamapediatrics.2015.2186.